Could the iPod Touch/iPhone be the future of gaming? The iPod Touch is the future of gaming huh? I don’t know about that (I’m sure you don’t either) but according to Apple’s marketing top dog Greg Jozwiak it totally is. It goes without saying the iPod Touch/iPhone has an impressive and extensive line-up of games, but (and that’s a big but) it’s hardly a substitute for games consoles from the likes of big gaming contenders Nintendo or Sony. Or is it? Mr Jozwiak laid into Nokia’s N-Gage, Sony’s PSP and the Nintendo DS by saying the iPod Touch/iPhone has a nicer touchscreen than Nintendo’s offering, which may very well be true, but since when did gamers prefer screen stroking to button bashing? He added: “The PSP and DS represent the old school of gaming: big bulky devices with an old-fashioned distribution model. Selling cartridges is the old school way of doing business… Buying a cartridge for your DS is going to cost £25 but it’s a much more efficient model when we go electronic.” Clearly his comments are merely just a matter of opinion, but with around 1500 games on offer starting from £2.99, does he have a point? Perhaps, but unless there are plans in the pipeline to bring out a button equipped iPod Touch/iPhone you can class Apple’s head of marketing’s comments as purely fighting talk. All of the world programmers are focus on apple apps. iPhone would be the most popular game devices. 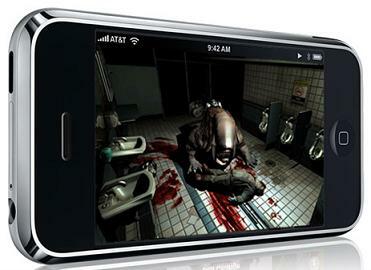 And, share some free iphone games.